Does a second feel the same for a fly, a bird, or a swordfish, as it does for me? Geoff Marsh drills into the science of time perception within and between species. Sound recordist Chris Watson captures the changing soundscape from dawn to dusk in the Kalahari Desert in south western Africa. As the light fades, you can see very little but hear everything; from the close up sounds of insects to the far-carrying contact calls of spotted hyenas. Producer Sarah Blunt. Made for 4 Extra. Wildlife recordist Chris Watson examines some of the ways technology has changed the radio we listen to, from early experiments in sound to the podcast explosion. There’s another chance to hear A River of Steel which was first broadcast in 2016, on BBC Radio 4 on Tue 1 May at 11.02am and Monday 7 May at 21:02. 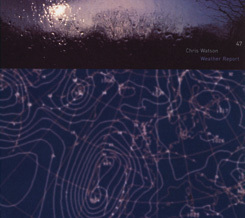 Chris Watson returns to Sheffield, the city of his birth to follow the course of its rivers across landscape and time in a tale of industrial development, little mesters and steel blades. Producer Sarah Blunt. Sarah’s guest this week is one of the world’s leading sound-recordists, Chris Watson. 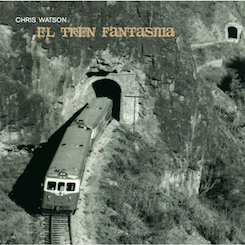 Chris started out as a musician, he was a founding member of the influential Sheffield-based experimental music group, Cabaret Voltaire, but he soon put the microphone to other uses enjoying a career recording sound for film, tv and radio. He has specialised in recording wildlife and natural phenomena, striving, in his words, to put the microphone where you can’t put your ears. 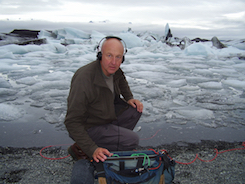 He has contributed to a number of David Attenborough documentaries in the Life and Frozen Planet series and has released albums of his field recordings. As well as discussing his work and life, Chris will be sharing some of his favourite classical music by composers including Britten, Messiaen and Felix Mendelssohn. Another chance to hear this sound portrait in which Chris Watson captures the changing soundscape of an oak woodland in Northumberland as the seasons pass. Matthew Sweet and his guests explore Jacques Cousteau’s The Silent World. Sound recordist Chris Watson joins the annual migration of wildebeest in the first of a series of audio postcards capturing spectacular sound events in the natural world. Wildlife sound recordist Chris Watson captures the changing soundscape of an oak woodland over the four seasons. Wildlife sound recordist Chris Watson captures a journey in sound from the summit to the valley floor of Cima Verde in Northern Italy. Wildlife sound recordist Chris Watson captures the sounds of an extraordinary dawn performance when he joins a group of male black grouse at a traditional courtship site. Reed beds are magical places as wildlife sound recordist Chris Watson discovers when he spends a night capturing the sounds of a reed bed in Suffolk in the last of this series of immersive soundscapes. Sound recordist Chris Watson gets up, close and personal with the Fen Raft Spider when he tries to record the males’ courtship behaviour, but it proves far from easy. In the first of three tales written by Lynne Truss, the Death Watch Beetle (Bill Paterson) and a bossy Queen Wasp (Alison Steadman) reveal the funny side of life in an attic. In the second of three tales written by Lynne Truss, a House Fly (Lee Mack) and a Soprano Pipistrelle Bat (Pam Ferris) reveal the funny and warm sides of life in an attic. In the last of three tales written by Lynne Truss, an Edible Dormouse (Hugh Dennis) and a Peacock Butterfly (Amanda Abbington) reveal the truth about what really goes on an attic of an old house in Amersham. Andé Somby is a Sami and a yoiker. When Andé invited sound recordist Chris Watson to record him yoiking near Kvalnes in the Lofoten Islands in Norway, Chris had no idea what an extraordinary and challenging experience this would be; not only to travel north of the Arctic Circle to record these ancient chants but also to gain an insight into the culture and beliefs of the Sami People. An intimate and revealing audio diary recorded over a year by James Aldred following the lives of a pair of peregrines and the family they raise in a disused quarry near his home. With a two metre wingspan, strong hooked beak and four inch talons, harpy eagles are one of the most powerful birds of prey in the world and have been known to attack people who get too close to their nests, so when wildlife cameraman John Aitchison agrees to spend a month on a tiny platform high up in rainforest canopy in Venezuela to try and film a young eagle chick hunting for the first time, it was with some intrepidation at what might lie ahead. Fen Raft Spiders as their name implies are water-loving spiders. Chris Watson gets up close and personal with these spiders when he tries to record their courtship behaviour as well as explore the extraordinary world of underwater sound in which these spiders live and hunt for food in the fenland ditches. 1 A previously unreleased recording from Kielder forest – surround version. 2 The opportunity to come out recording with Chris in Northumberland on May 15th.